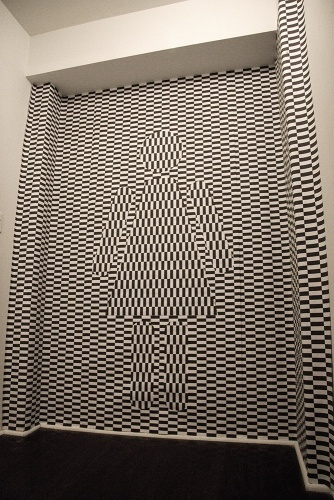 Based on the design of the Ouchi Illusion this wallpaper relocates the male and female bathroom symbols into a checkered space of an optical warp. The work was made as part of the exhibition Staging the Phenomenal Character in response to Jill Magid’s two performances: L.O.V.E. and Spies.